The Senate's top Democrat is asking the Justice Department's watchdog to open an investigation into communications between acting Attorney General Matthew Whitaker and the White House. 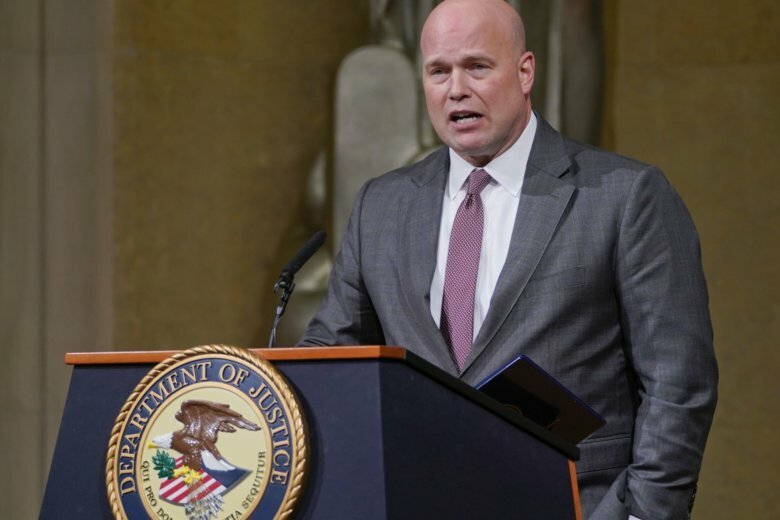 WASHINGTON (AP) — Before joining the Justice Department, Acting Attorney General Matthew Whitaker earned nearly $1 million from a right-leaning nonprofit that doesn’t disclose its donors, according to financial disclosure forms released Tuesday. FACT drew its funds from 2014-2016 mainly from Donor’s Trust, another nonprofit designed to provide anonymity to conservative and libertarian donors. Whitaker’s appointment has been criticized by Democrats who have challenged its constitutionality and are concerned that he will interfere with special counsel Robert Mueller’s Russia investigation. Earlier Tuesday, the Senate’s top Democrat asked the Justice Department’s watchdog to investigate communications between Whitaker and the White House. Sen. Charles Schumer asked the inspector general to look into whether Whitaker had access to confidential grand jury information in Mueller’s probe. Schumer also wants investigators to examine whether Whitaker shared information with Trump or others in the administration. John Lavinsky, a spokesman for the inspector general, declined to comment on Schumer’s request. Deputy Attorney General Rod Rosenstein, the second-ranking Justice Department official, had been overseeing the special counsel’s Russia investigation until Whitaker’s appointment. Whitaker is now overseeing the investigation. Schumer and other Democrats have said they are concerned about Whitaker’s past criticism of the Mueller probe, which is looking at Russian interference in the 2016 election and ties to Trump’s campaign. After Whitaker’s appointment, Schumer called for Whitaker to recuse himself from overseeing the investigation and said he would seek to tie a measure protecting Mueller to must-pass legislation if he refuses to do so. Whitaker’s past public statements have included an op-ed article in which he said Mueller would be straying outside his mandate if he investigated Trump’s family finances. In a talk radio interview he maintained there was no evidence of collusion between Russia and the Trump campaign during the 2016 election. A Justice Department spokeswoman did not respond to a request for comment on Schumer’s request on Tuesday.